One of the most extraordinary fashion designers of the twentieth century, Elsa Schiaparelli was an integral figure in the artistic movement of the times. Her collaborations with artists such as Man Ray, Salvador Dali, Jean Cocteau, and Alberto Giacometti elevated the field of women's clothing design into the realm of art. Her story is one of pluck, determination, and talent with scandal as spice. 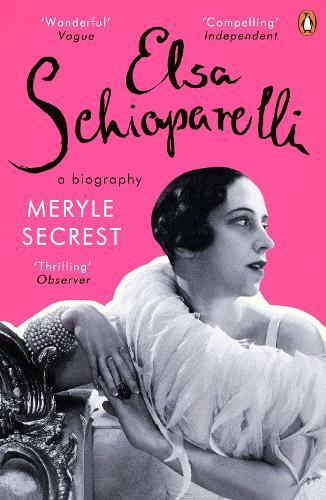 As the daughter of minor Italian nobility whose disastrous first marriage to a Theosophist caused near penury, she transformed herself into a designer of great imagination and, along with Coco Chanel, her greatest rival, she was one of the few female figures in the field at that time.